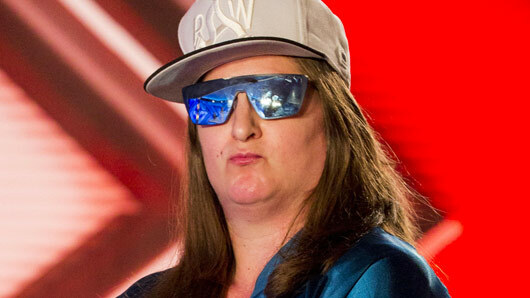 Did X Factor’s Honey G endorse drug use on Twitter? The already controversial X Factor contestant has put herself in the firing line of yet further criticism, after an image of an old tweet endorsing cannabis use has reemerged. 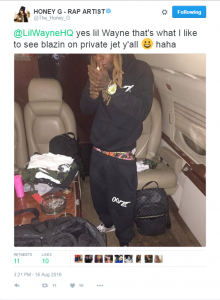 In August, while competing on the ITV singing competition, Honey G posted a photo of rapper Lil’ Wayne smoking marijuana on a private jet. The picture was posted to both her Twitter and Facebook profiles, and was captioned with words of praise for the artist’s drug habit. The post was later deleted, but now screenshots of the tweet have resurfaced and fans of the show are demanding an explanation. An X Factor insider insisted that the rapper’s tweets have been misconstrued, telling The Sun Online: “Honey G is sorry if these posts were misconstrued in the wrong way. This isn’t the first time Honey G has received backlash from the viewing public. The contestant was recently accused of cultural appropriation by posing as a caricature of black music culture, and has also been criticised by the likes of Boy George who branded her a “joke” this morning (Wednesday) on Good Morning Britain. Is it just a downwards spiral from here? Or can Honey keep the public on her side? X Factor continues Saturday at 8pm on ITV.